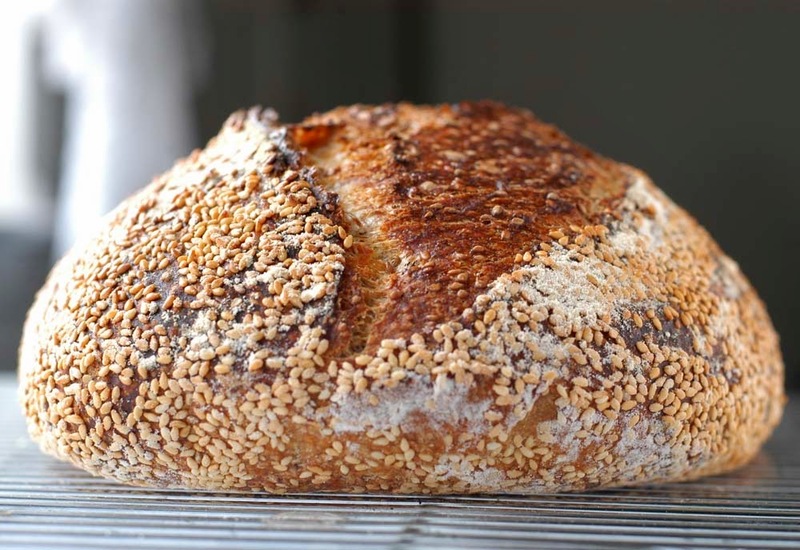 This time, I tried an adaptation of Ken Forkish's Overnight Country Brown from Flour Water Salt Yeast, baking a loaf with the addition of roasted sesame seeds. 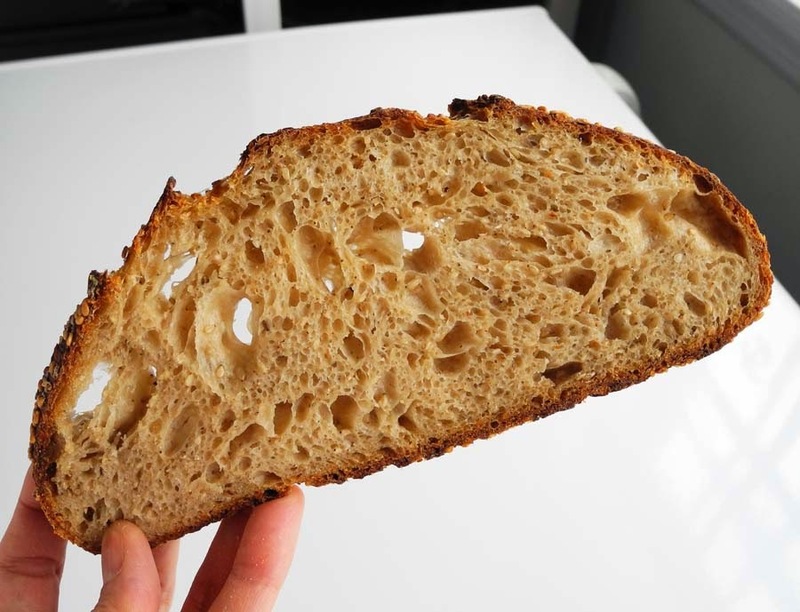 Forkish’s Overnight Country Brown recipe uses a long slow (8-15 hours) bulk fermentation, which brings out deep complex flavors and the natural sweetness of the flours. 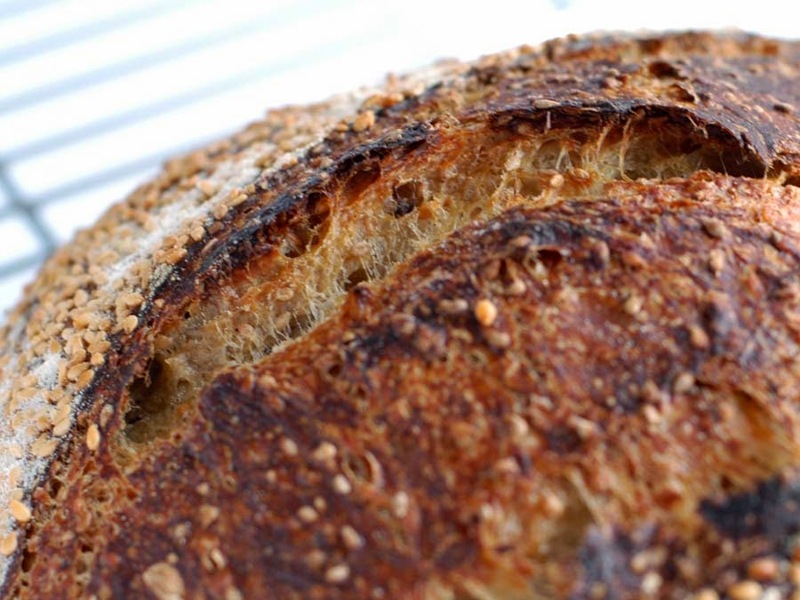 This bread has a slight hint of tanginess, which is a nice accent to accompany a meal. 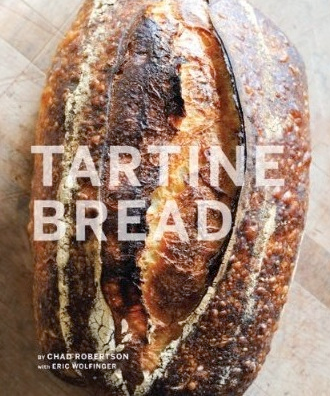 Forkish's book does not carry a recipe using sesame seeds, but I combined it with the Sesame Country Bread recipe from Chad Robertson’s Tartine Bread book. It worked pretty well. It was a warm day of early springtime, and the room temperature was 76F, about 5F degrees higher than my previous baking day. So I adjusted the temperature of the water I mixed in. The original recipe called for 90-95F water for mixing with flours for autolyse, supposing the room temperature was 70F, but I used 85F water instead for the autolyse. The dough temperature after the final mix was 82F, a little higher than the desirable dough temperature. Perhaps I should use even colder water (about 80F) for the final mix next time. 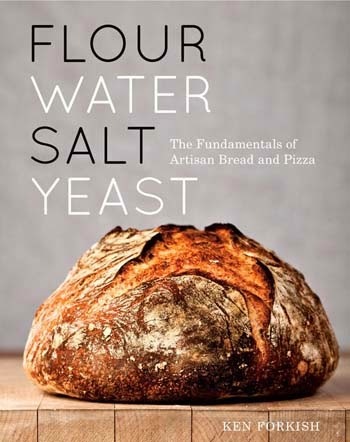 The bulk fermentation was supposed to take 12-15 hours according to the recipe, until the dough rises to 2-3 times in size. My dough rose to double in 9.5 hours, earlier than I expected, perhaps since the initial dough temperature was rather high. I folded the dough 4 times in the initial 2 hours of the bulk fermentation, which seemed to give enough gluten strength to the dough. Final rise time was supposed to be about 4 hours at room temperature according to the recipe, but I only gave 2 hours to the final rise in the refrigerator considering the warm weather. I could have given it a few more hours, though, since the resulting loaf seemed to be slightly under-fermented. When I scored the loaf, there was a big air hole at one end of the slash. I thought that the air hole might deflate the loaf, but the hole was closed naturally while baking, so it was fine in the end with fairly good oven spring. 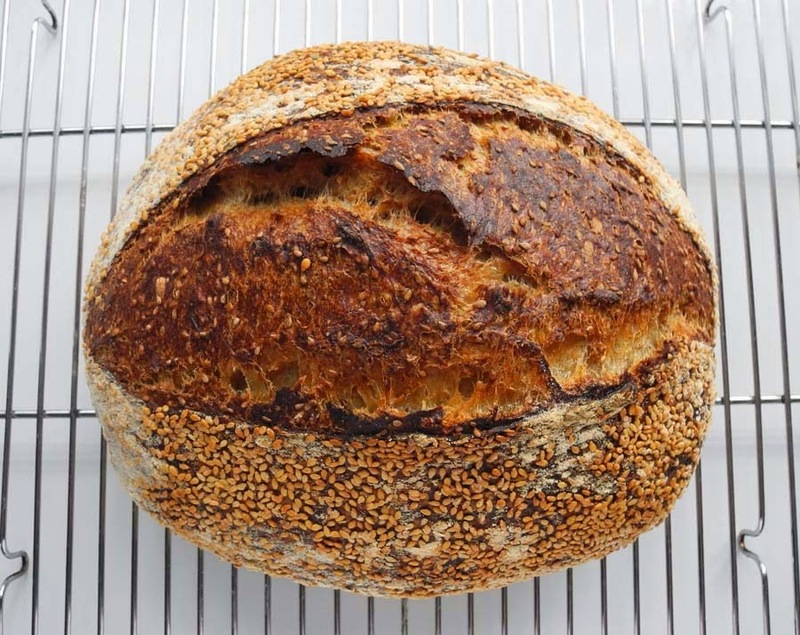 I love the way the oval-shaped loaf makes a wide crack on top, since it seems to show the natural dynamics of the oven spring phenomenon most effectively. 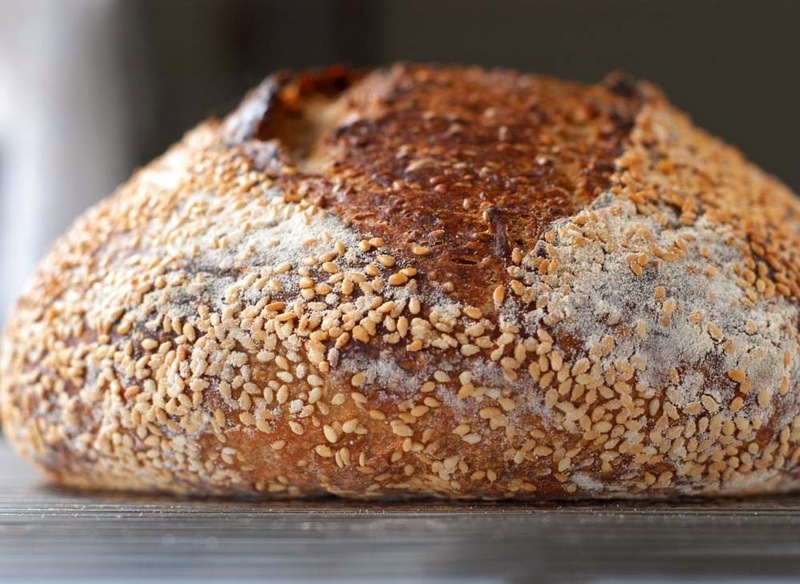 With the addition of roasted sesame seeds, the bread gained extra depth both in the flavor and the taste. 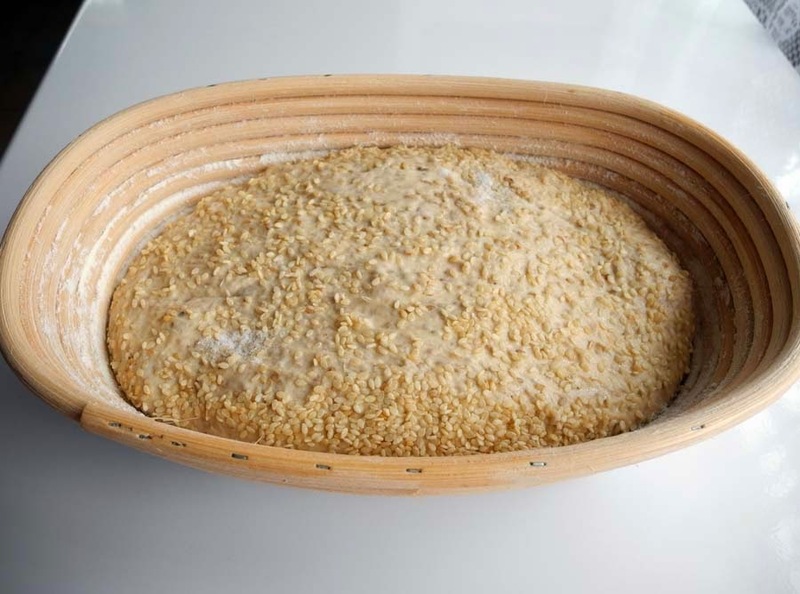 The crust was thin and crispy, and the inside crumb was soft and moist, with a nice chewy texture and a rich nutty aroma from the roasted sesame seeds, all enhanced by the long slow bulk fermentation. 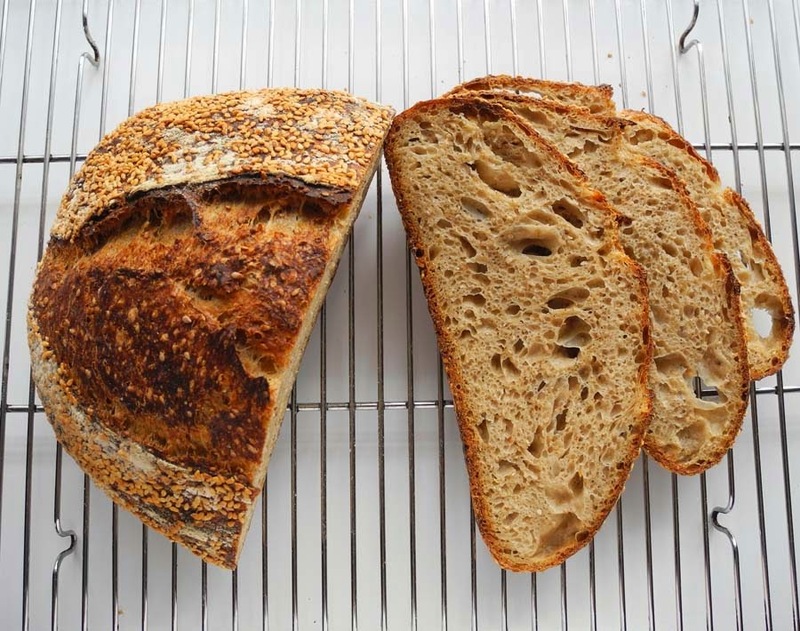 Compared with the Field Blend #2 with sesame seeds, the crumb was softer with bigger holes, with a more integrated flavor from the whole wheat flour and roasted sesame seeds. 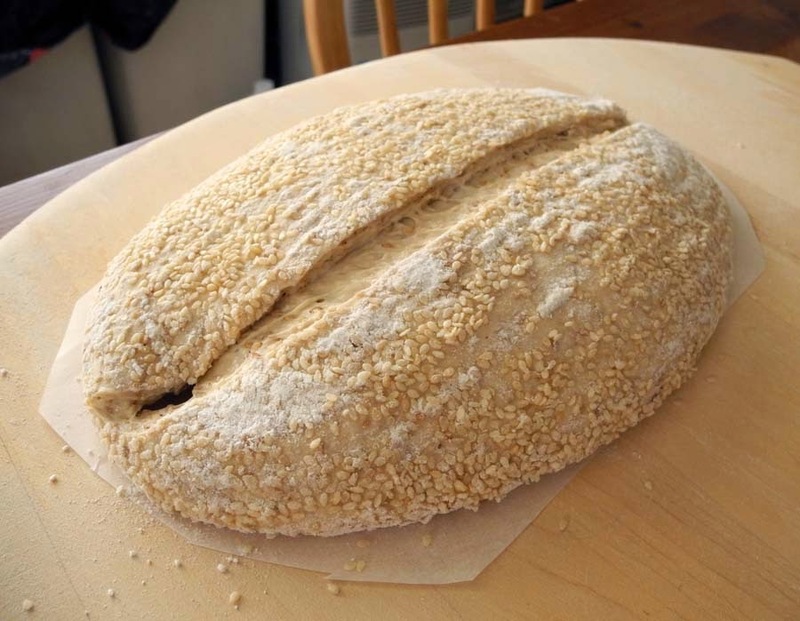 Also, the nutty flavor of the sesame seeds seemed to enhance the natural sweetness of the whole wheat. 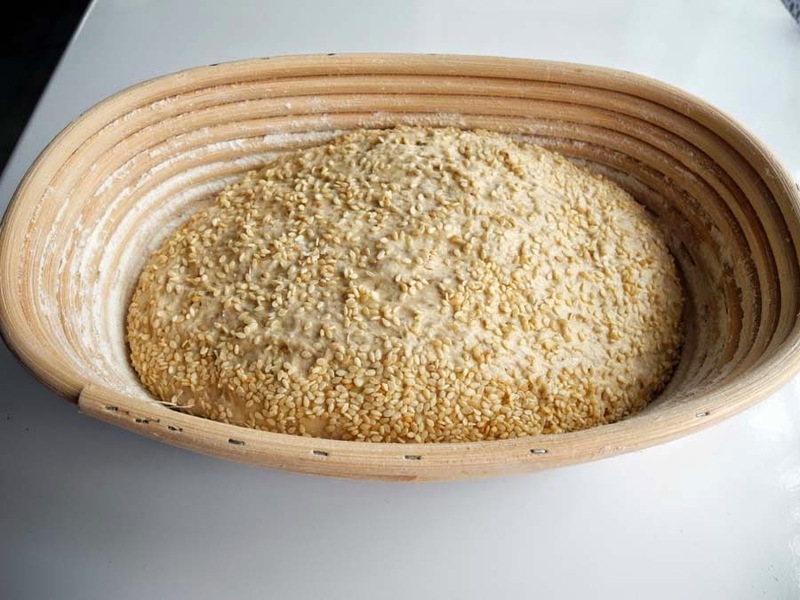 The long slow bulk fermentation certainly extracted the most from the umami flavors of sesame seeds and whole wheat, and infused them together into the crumb nicely. This might be my favorite sesame sourdough bread so far. 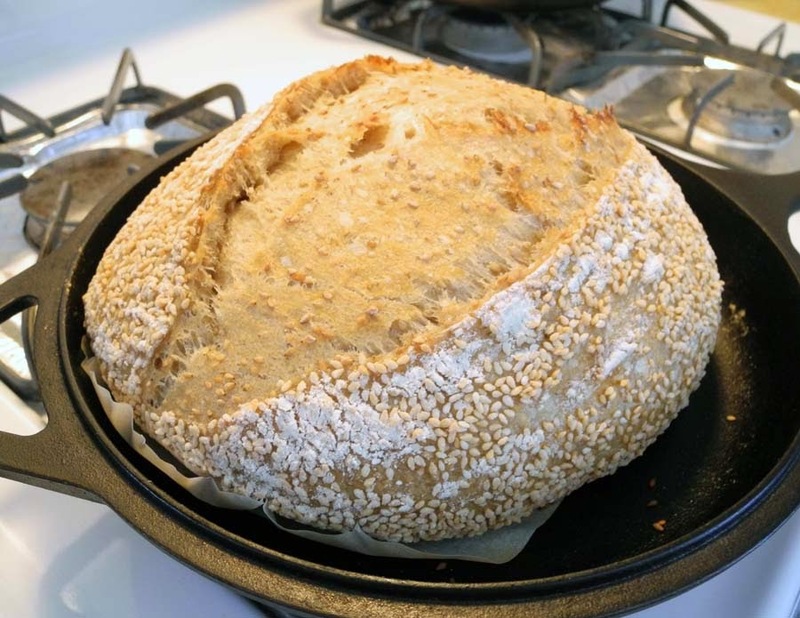 Hello, Quick question... when baking Forkish's recipes and using a dutch oven, are you baking directly on the surface of the dutch oven or are you using parchment between the dough and dutch oven? 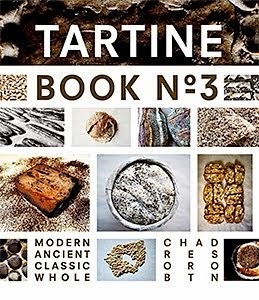 I'm guessing parchment, but was curious, I always worry the parchment will take something away from the final product. 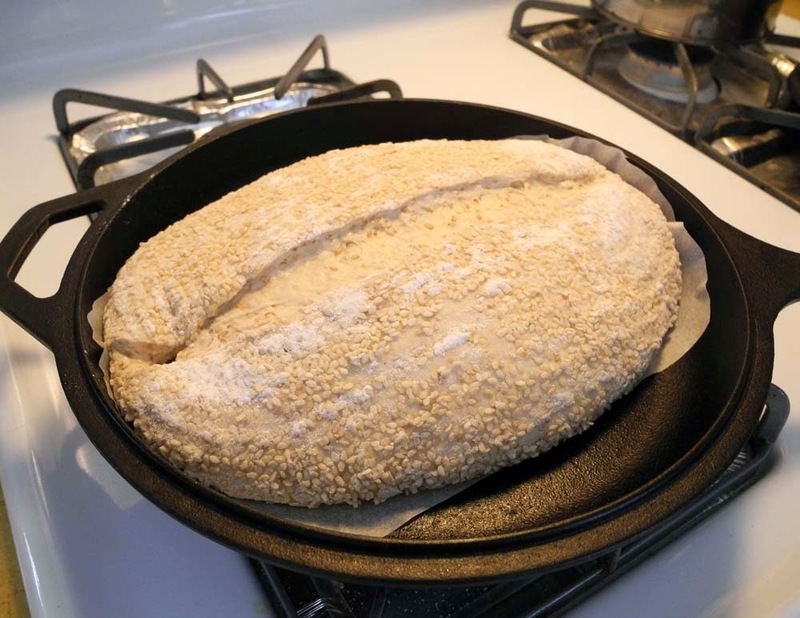 Hi Mike, sorry for such a late answer … Yes, I use a parchment paper between the dough and the dutch oven. I think the bottom of the bread gets nice crusts just like being baked without parchment.